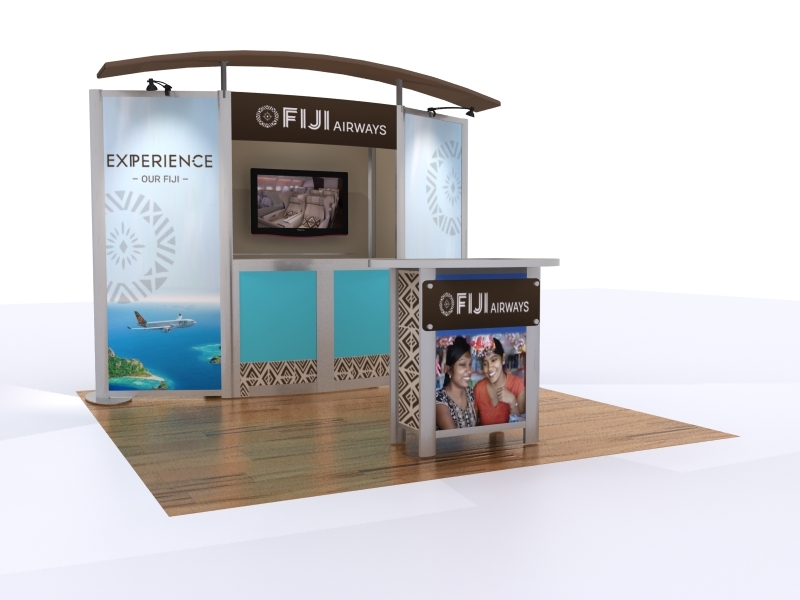 With Visionary Designs Hybrid Exhibits, you're in charge because every display is "Designed Just for You!" 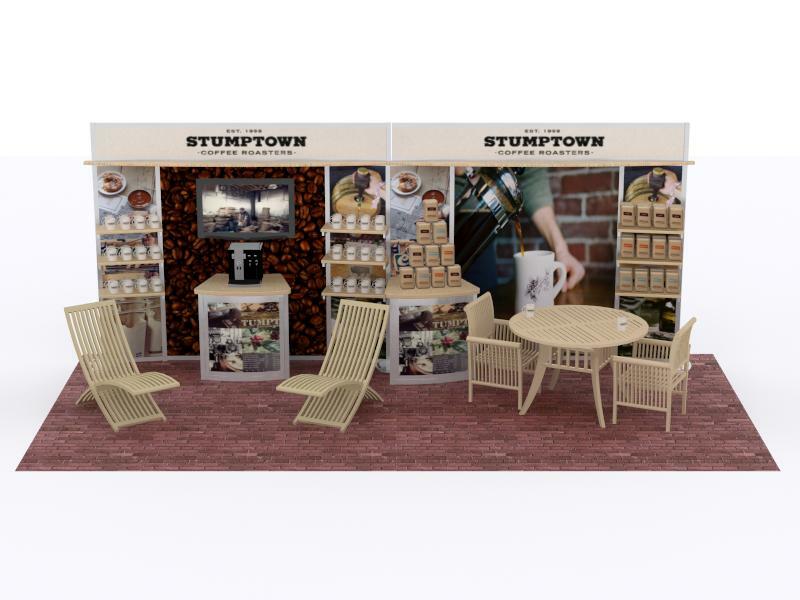 Our skilled designers personalize the display to your specific trade show requirements, whether you start from an existing kit or from pencil scratches on a napkin. We make it that easy. 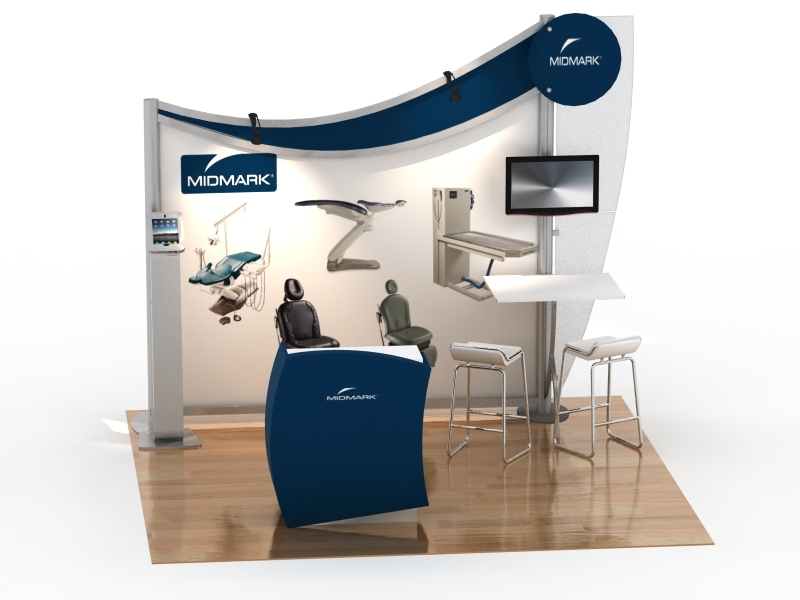 All Visionary Designs Hybrid Exhibits combine vibrant tension fabric graphics, durable aluminum extrusions, and elegant laminates into an unmistakable island or inline trade show exhibit. There's no limit to the design possibilities because you're in charge of every design.